Laura tells me that you folks can’t wait for my picks for the year. Well, I hope the wait is worth it, because this year was a great one; I had a really hard time coming up with five books to recommend. So many top-notch works out there; I’ve done my best to select those which may appeal to the general, educated reader (that means YOU!). This year is a bit unusual because three of the five are primary source materials. You’ll also notice that I went on a US history bender. This is perhaps the first year with no Classical stuff. Why, you may ask? Probably because this year our fair land made so little sense that I had to hunt the beasts lurking deep within our collective subconscious psyche. What the hell is going on down there? You kids shut up and go to bed! Unfashionably Jungian, I know, but I needed understanding. The best book I’ve read this year, and that says a lot, considering the strength of this year’s set. You can thank Laura’s father for this one; he highly recommended it to me, and I pass that recommendation to you. I never had all that much interest in early 19th century US history (funny clothes and goofy hats, runnin’ around barefoot and drunk all the time, fightin’ and praisin’; fifteen miles on the Erie Canal and so on). True that, but so much more. This was an era of social, economic, and political revolution, all accelerated by world-historical technological change. Swap telegraphs and railroads for computers and the internet, and you realize that plus ça change . . . Religious revival, political agitation, anti-immigrant feeling, an unpopular and legally questionable war, regional politics, politicized media,the debate over the federal role in internal development and the national economy. And of course, overshadowing it all is the most wrenching issue in US history: slavery. You see what’s on the horizon, and it’s not pretty. Prof. Howe is a superb and imaginative writer as well as an outstanding historian.Yes, a historian is a product of his times, and his argument may be subconsciously rooted in the recent past, but he does not deliberately draw parallels between then and now (I only caught one off hand reference to the Iraq War). Five stars. You won’t regret this one. 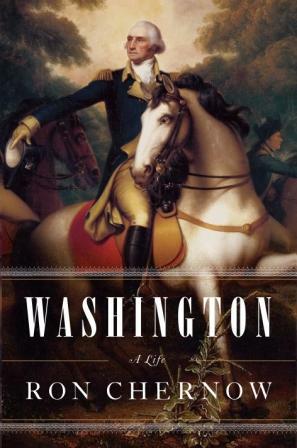 As thorough a biography of George Washington as you will ever read. The more I learn about this man, the more amazed at our splendid good fortune to have him in charge during the Revolution. I’m not sure that you could call him modest or humble,but he certainly had the awareness and understanding that events were much bigger than he, and that he had awesome responsibilities to shoulder. Lesser men would have succumbed to temptation or descended into pettiness; Washington had his flaws and Chernow doesn’t hesitate to point them out. Many at the time did succumb to one of more of the deadly sins, but many more did not, which is all the more astounding. Puts some perspective on our present lot of leading Americans. An American Caesar without the Caesar. In other words, masterly writing from the mind of a career soldier, but without any acknowledgement of his great accomplishments. 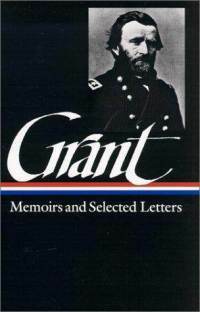 Grant’s writing is clear and concise, each sentence to-the-point, each paragraph crafted logically, each chapter leading the reader to the obvious and well-known destination. The entire work is lucid and self-deprecating, describing his first-hand experiences in the Mexican and Civil Wars without the political spin. Don’t get me wrong; he is as fervent a Republican (as in the Party of Lincoln) as one could find, but what is most amazing about Grant is that he is extraordinarily magnanimous. He does not have an unkind word for anyone. Again, puts our present crop in an unflattering light. Narrating his experiences in another brutal war is E. B. Sledge. 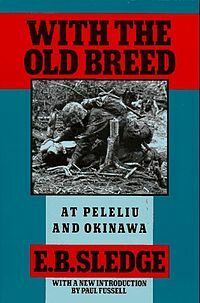 In 2010 HBO broadcast The Pacific, a mini-series following three young Marines across the Pacific,hopping from one nasty island to the next, fighting tenacious Japanese soldiers and slowly devolving into savagery. Horrible tales. So after viewing the series, I turned to the memoirs. E. B. Sledge is a fine writer with a keen eye for detail, a talent for describing unusual characters, and intelligent and observant enough to have thoughtful opinions on his situation. The image of the old marine scrubbing his privates in the shower with a wire brush sums up all we need to know about the Marine Corp. A heroic yet modest figure who did what was expected of him and tried to retain his sense of decency and humanity in extremely difficult circumstances. de Castaneda de Najera, Pedro. Narrative of the Coronado Expedition. 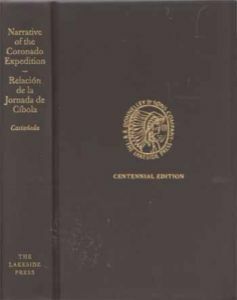 I rediscovered this one last year: a first person account of Coronado’s expedition in 1540 to Northern Mexico and the American Southwest. In search of the Seven Cities of Cibola, Coronado and his men explore difficult terrain and make contact with the natives of the region, with predictable results. I first read this account years ago for a history course on early modern Latin American history. I spent days with this book in my right hand and an atlas in my left. Fascinating reading and truly a first-class historical document, written by an average Joe on an extraordinary journey. Believe it or not, I liberated this from somebody’s desk at the firm. The poor fellow was no longer with us (or “pursuing other opportunities”, as we are told), and this book was destined for the trash heap. His neighbors shrugged their shoulders, not caring about the great importance of this work. I tried hard to convince them but my arguments fell upon deaf ears. Philistines more interested in the call of the Horn of Mammon! If they read this book they would realize that it’s all a fantasy! I’m a popular guy at the firm. Thanks. This will make buying for dad much easier. I bought “What God Hath Wrought” with the intention of reading it for what the Atlantic’s Ta-Nehisi Coates calls “the Effete Liberal Book Club.” He has a several discussion threads on it from earlier this year. I haven’t read them (or gotten around to reading the book yet) but his commenters are usually really insightful and knowledgeable. Laura’s right, we do wait for these recommendations. As an early modern historian, all of this modern American history is a busman’s holiday – good to get some great recommendations. It’s been years since I read the Coronado expedition. It would be marvellous if someone put together a new edition with an atlas & mini-essays on historical figures, places & moments! Janice: Perhaps it could come with action figures or costumes too for acting out major battles/events?! On behalf of my entire country I apologise for burning down the White House in 1812. Regarding George Washington, some years back, there was a picture of Al Gore walking past the statue of Washington at Federal Hall. I don’t mean to pick on Al Gore in particular, but, really, no American politician does himself (or herself) a favor walking next to a statue of Washington. And when the statue is 12 feet tall, it furnishes what you might call an “objective correlative” for the contrast that would be evident in any case. No need to apologize, Sandra. We burned York (modern-day Toronto) and laid waste to the Niagara region of Ontario first. Pretty foolish, because there were quite a few American sympathizers in the area. Anyway, British regulars and not the Canadian militia raided the Chesapeake. Blame them. Read the two books I mention above. The Civil War of 1812 is very heavy on Canadian history. I would also suggest the Champlain biography I recommended two years ago, by David Hackett Fischer. Another is Crucible of War, by Fred Anderson, an extremely thorough telling of the French and Indian War. He doesn’t have a high opinion of Wolfe, which is an interesting argument. As for French-Canadian food, well, if you can stomach poutine . . . And don’t they put maple syrup on everything? That’s what I learned from the old Dave Atell “Insomniac” show, when he stayed up all night in Montreal. Invading Canada isn’t something that dedicated people stopped doing just because of the end of the war of 1812. Seconding the love for the Howe book. Terrific through and through. 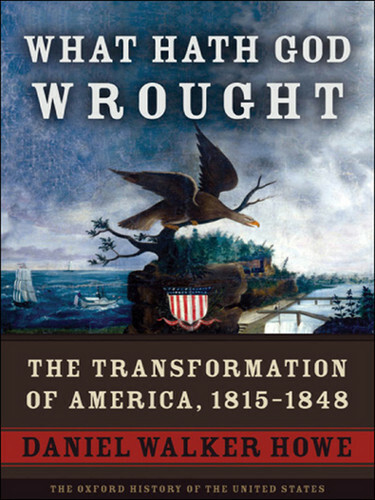 Another good framework, over a slightly longer period, are two volumes from Page Smith’s series: The Shaping of America (1783-1826) and The Nation Comes of Age (1826-61). Smith chooses, somewhat arbitrarily, to split the antebellum period at the death of Adams and Jefferson. My own history recommendations from this year’s reading, apart from the Howe, would be Crimea by Orlando Figes and Yalta: The Price of Peace by S.M. Plokhy. Not so much history as historically minded is Let Our Fame Be Great by Oliver Bullough; be sure to read it before the Sochi Winter Olympics. In a fit of true eccentricity, I am in the middle of a whole book on Meskhetian Turks. Though I hasten to add it is the shorter of the two books on the subject generally available in this part of Over Here.